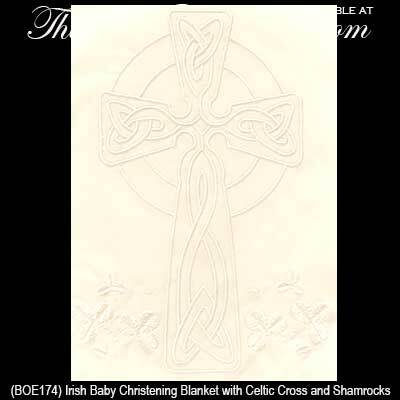 Irish baby blankets feature shamrocks along with an Irish Lullaby and the Celtic Cross. These soft blankets are some of our best selling Irish baby gifts. 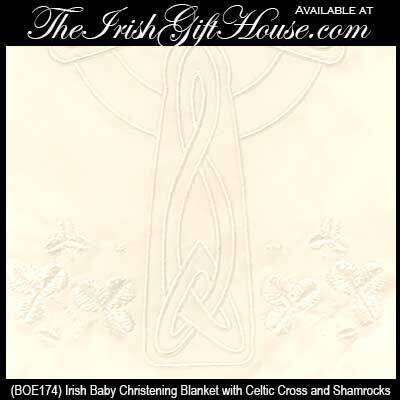 Irish baby Christening blanket features an embroidered Celtic cross along with shamrocks in each corner. 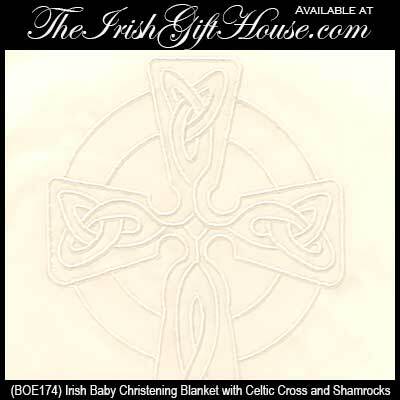 Irish baby blanket features an embroidered Celtic cross in each corner. 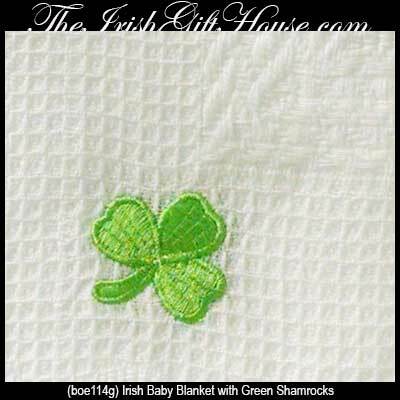 Irish baby blanket features an appliquéd green shamrock in each corner. 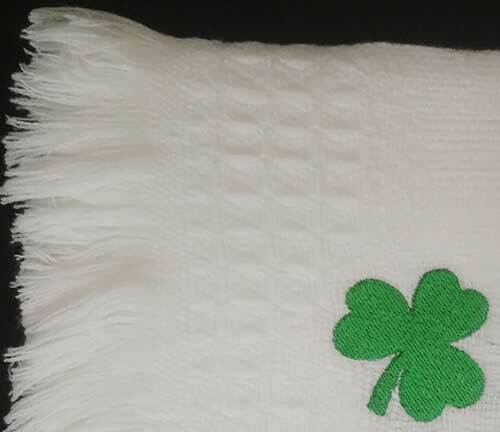 Irish baby blanket features a appliquéd white shamrock in each corner. 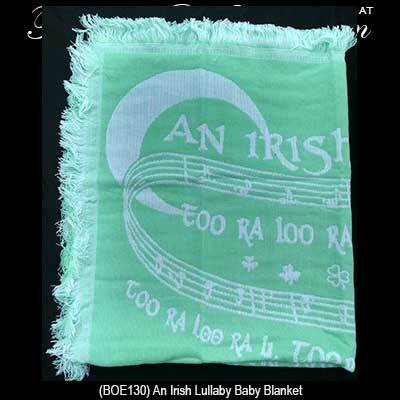 Irish baby blanket features an appliquéd Kelly green shamrock in each corner. 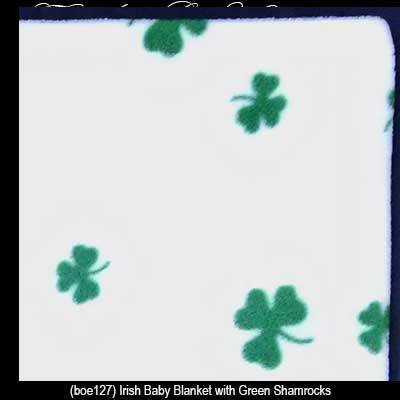 Irish baby blanket with shamrocks features the works to the song, An Irish Lullaby. Irish baby blanket with shamrocks is held by a soft plush lamb that is also enhanced with shamrocks. 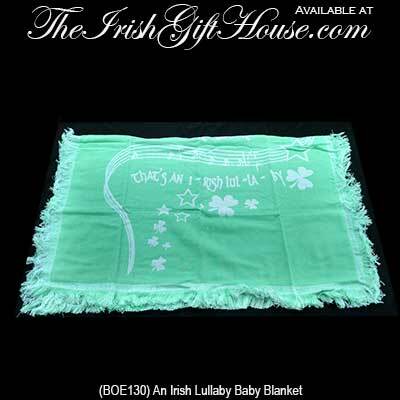 Irish baby blanket is fleece that features a printed green shamrock design.